Welcome everyone! I took a week off to enjoy a Spring Break Cruise with my family. It was a nice break but now I’m back! Let’s see what you all have to share this week! Due to being on vacation, I don’t have a feature this week. 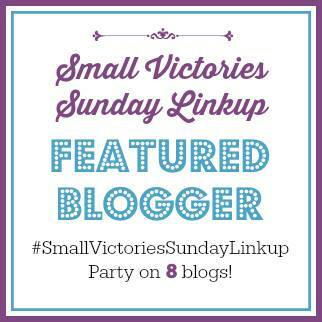 However, I will feature TWO posts next week from this weeks linkup! HomeSchool: This has been a frustrating battle for me. My daughter just flat out refuses to do her work and cooperate with homeschool. At this point, I’m taking a break from it all and giving her the choice – do your work or you go back to public school next Fall and repeat the grade she was suppose to be in this year. Cooking: I’m working on a new recipe for you this week – a copycat version of one of my favorite appetizers from a popular California restaurant! Home/Self-Care: With the homeschool struggles, the constant stress of having a child that has behavioral issues, as well as my own chronic illness, I have really had a hard few weeks. I enjoyed being on vacation, but we had a lot of rocky moments with the kids. Thank goodness for the kids club on the ship! Things were just as bad once we got home and I was also sick from our trip with bronchitis, so it’s been a rough week indeed.